Create a personalized necklace around your gemstone of choice. Caroline will guide you in the weaving technique known as ‘Knotless Netting’ using fine waxed linen and handmade paper beads. The necklace design is suitable for exchanging your gemstone and is adjustable in length. 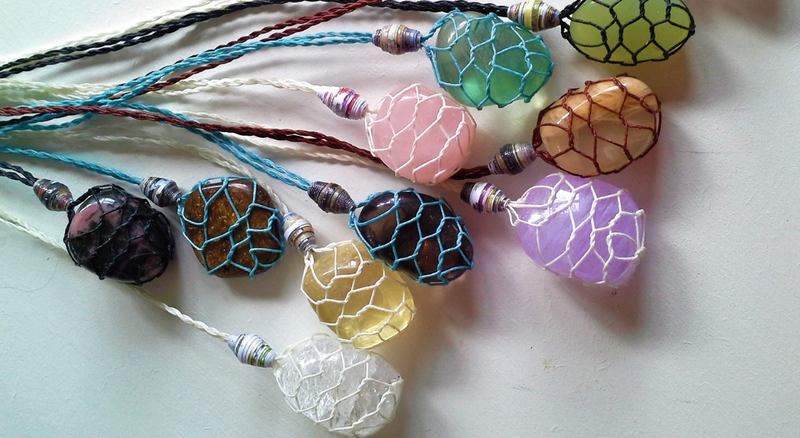 Caroline will have a selection of gemstones to choose from or bring your own stone, beach glass or special treasure.